So it’s time to wrap up the final stage of the tour. The final three days, plus what they classed as ‘Day Nine’, but really shouldn’t have been counted as part of the tour. As I said before. But anyways, when last you left me I was on Isla Santa Cruz for one night, after two nights on Isla Isabella and one night in Quito. The morning we were left to our own devices on the island. Some slept in. I certainly did. Others went for a walk. 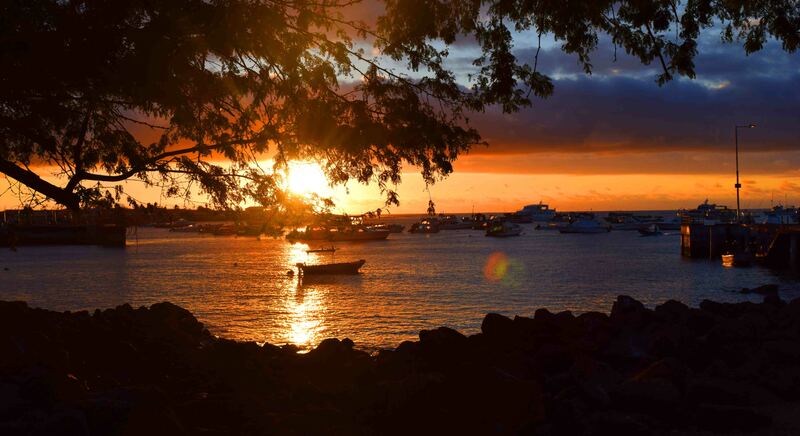 I looked for souvenirs in Puerto Ayora but didn’t find anything worth forking out money on. Although this booby shirt caught my eye enough to grab a quick photo. We met back at the Hotel Isla Azul and there was another briefing. One of the general criticisms of the tour that many of us had was that these briefings were too frequent and too long. And often not well timed. In this case it was at 12 or so midday and straight after we had to head to the pier for our final speed boat ride to Isla San Cristobel. So I think most of us didn’t get lunch. On a bumpy speed boat ride for two or more hours, that’s not necessarily a bad thing. Isla San Cristobel was our guide, Mateo’s favourite island, and the island he was from. And possibly it was my favourite too. The main town where we stayed is called Puerto Baquerizo Moreno, and we were taken from the pier to our hostal – Hostal Los Cactus which was serviceable but there were a couple on our tour that weren’t impressed at all – a few broken windows were the main concern, and they paid to stay in a nice hotel on the main strip. Mateo took us for a walk along the shore as dusk came in and showed us a few nice spots for dinner. One place I went to in the evening had really nice pizzas and a good deal going of 2 for $15 and they were great pizzas with wonderful crust. 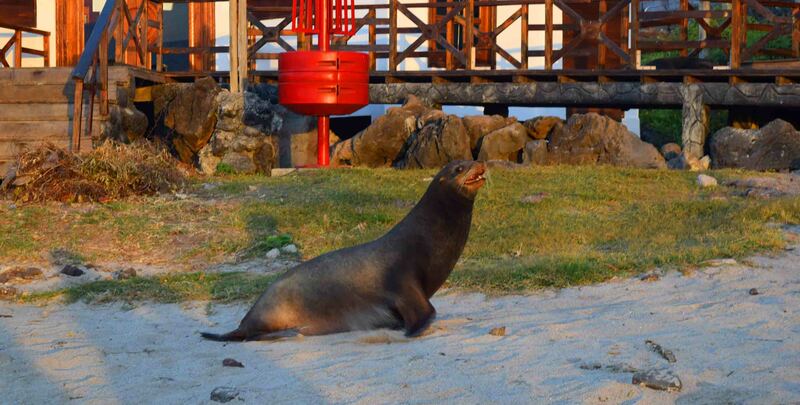 We walked past sea-lions lazing on the sand and even fighting a little bit. 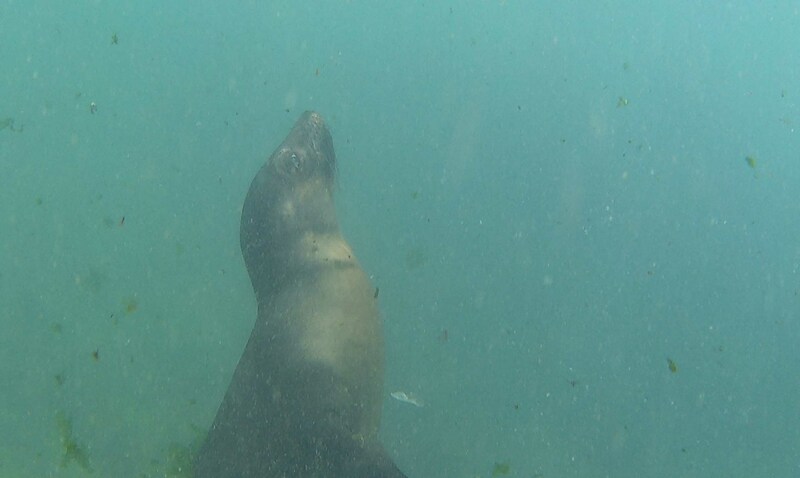 Sea-lions were the main animal of San Cristobel. The hostal did a basic breakfast so that’s how the day started. It was a full day basically of do as you like. There was a tour out snorkelling which Mateo didn’t strongly recommend and probably about half of the group of 16 decided to go on it. I decided along with a few others to head down to a beach recommended by Mateo to do some snorkelling, Playa Mann. 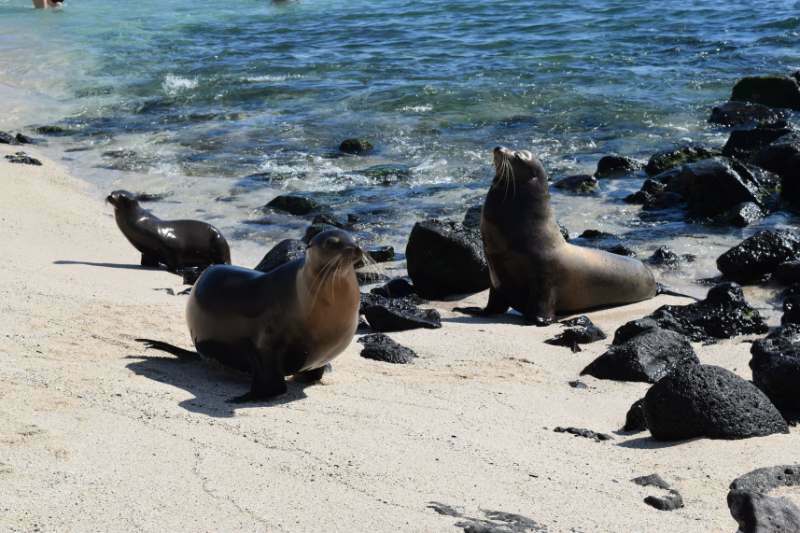 I had a wonderful few hours there with the sea-lions. I got to use my underwater camera and it was the BEST experience not only of the tour but possibly my two months in South America. Actually, second best behind the other snorkelling I did. 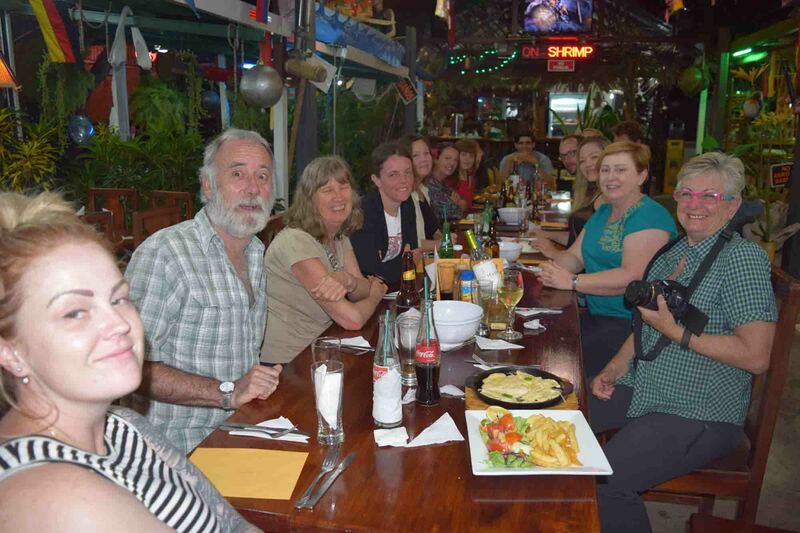 That night, as it was our last full day on the islands, we had a big dinner at a place Mateo had picked out. It was okay, but it really was for lovers of seafood, which I must admit… I’m not. But it was a great night out and a good way to finish our trip. Even though it was actually day seven of nine. Breakfast and a briefing, the usual way to start the day. We had one final activity in the morning, and that was to visit the Interpretation Center. Some of the group, perhaps half, decided to give it a miss. I couldn’t blame them, as we’d had so much to do and you’re in a beautiful island and who wouldn’t want to chill a bit? Nevertheless there was a guide organised who walked us around, and for the sake that a guide had been engaged I thought I really should go. It was a fair walk there and back. 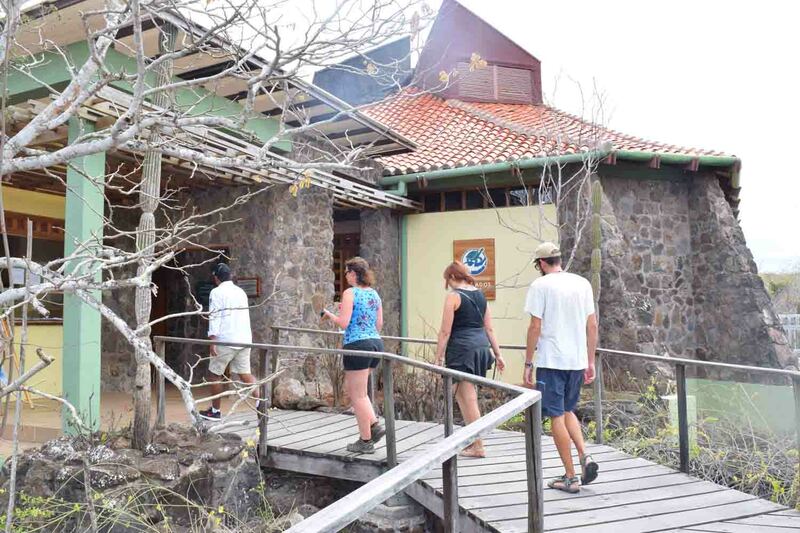 It was really a bit of a museum of the history of the Galapagos Islands from how they were formed to colonisation and of course Charles Darwin. Outside there’s a boardwalk through the country side. 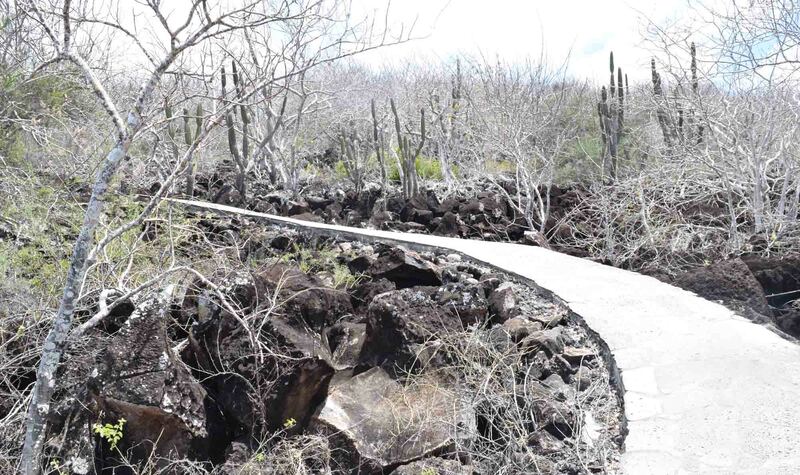 I made my way down to Playa Carola, as I had been advised by Mateo that this was good place to see the blue footed booby. 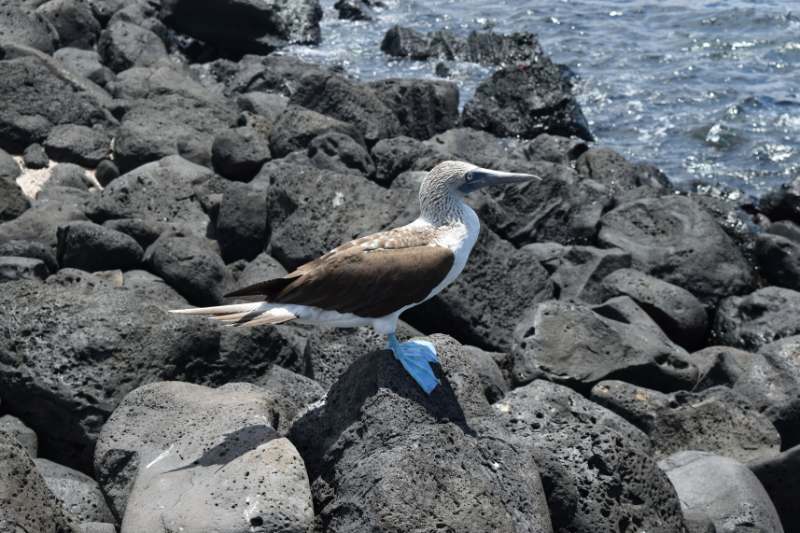 Yes a bird with blue feet, and a very bizarre name. So I headed down there and looked and looked. I was there for 30 or 40 minutes and I was about to give up because we had a departure briefing to get to, and then I saw one a hundred and fifty metres away. I got the camera at the ready, and slowly approached it, taking a few steps and snapping a few times. I wondered how close I could get, creeping up and up, and I got to two metres away! So I got some pretty good shots before it flew away. A meeting at the hostal, we handed over tips to Mateo and then we in a bus to the airport, which is very close to town in Puerto Baquerizo Moreno. The flight left in the afternoon, and the sun was just going down as we alighted in Quito, bussed back to the Hotel de San Francisco, to end the trip. There were representatives from Intrepid there to see how it went and ask for comments or any issues that we had. Final night dinner on San Cristobel. Well. Apart from waking up in the room shared with your partner for the tour, that was it. Breakfast was included and then it was every man for himself, so to speak. I shared a cab to the bus station with a couple from the tour, but then we were heading off in different directions. I was to go the rest of the South American adventure solo. Well, not quite all the time. And thus endeth the story. All in all it was a relief I think to be back in control of my own destiny so to speak. I met some great people on the tour, but I even get sick of sharing with one other person for too long. That’s me. I learnt travel on my own, partly because I was interested in places most people I knew weren’t. Having said that, I’ve had great times travelling with others, mostly in Africa. I think, in this case, it would be very possible to do pretty much the whole tour on your own without a main guide. 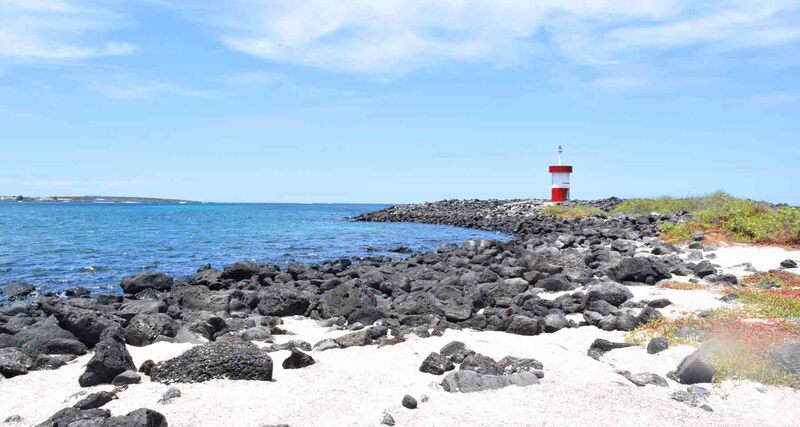 It would take a fair bit of planning, and transport out to the walking track of the volcano etc would be tricky – but you could do all the things we did pretty much on your own or with a half-day or less tour that you could book on the islands. You’d have more control over your time of course, but I suspect it would cost just as much if not more overall. And as for our guide, Mateo, there’s no doubt having a local to explain things is always a major bonus, or to smooth things out if there any issues. Mateo is young and very enthusiastic, a really nice young gentleman. So there’s a big tick. Thanks for reading. May the Journey Never End! That is a attractively ugly bird.